By supplying your staff with a high quality commercial window cleaner from our selection, you can expect glass surfaces and windows to be free from dirt and residue. 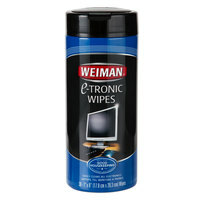 For convenient, ready-to-use products, check out our spray bottles and wipes. And, for bulk commercial glass cleaner, consider the bag-in-box options that allow you to easily refill bottles. Also make sure to check out other great items from Advantage Chemicals, Noble Chemical, 3M, Diversey, Unger, Weiman and Windex. By keeping windows free of pollen and dirt, and indoor surfaces clear of fingerprints, you’ll be able to maintain a clean and sanitary establishment. From single spray bottles to bulk supply for your janitorial closet, we have an option for everyone. Be sure to also clean your windows and glass surfaces with these microfiber cloths for a streak-free shine every time. You may want to check out these bottles, sprayers, hoses, and buckets and window washing kits, as well to complete your janitorial supply! 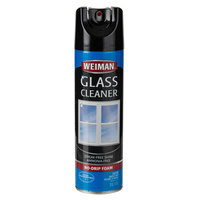 If you're wondering where to buy weiman glass cleaning chemicals, we have a large selection of weiman glass cleaning chemicals for sale at the lowest prices.